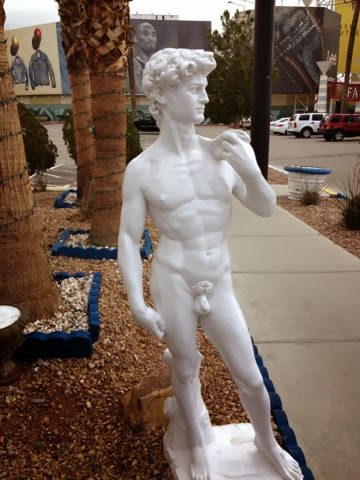 you know, two days in vegas is plenty. when we woke up on the third morning, we were all more than ready to get up and outta there. it was nice to sleep in a little, though. we all woke up, scrambled to get packed and were outta there about half an hour after waking up. 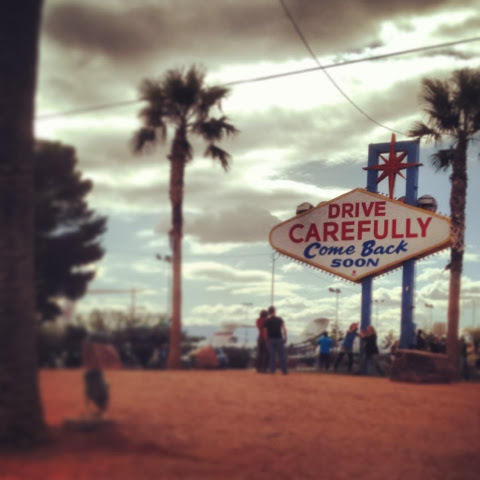 the strip was quiet and mostly empty as we drive through it one last time, and the famous sign gave us our official send-off. 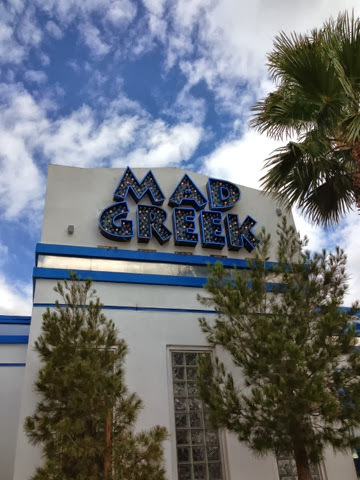 to be completely honest, i'm not usually a huge fan of greek grub. to me, feta cheese smells and tastes like feet. 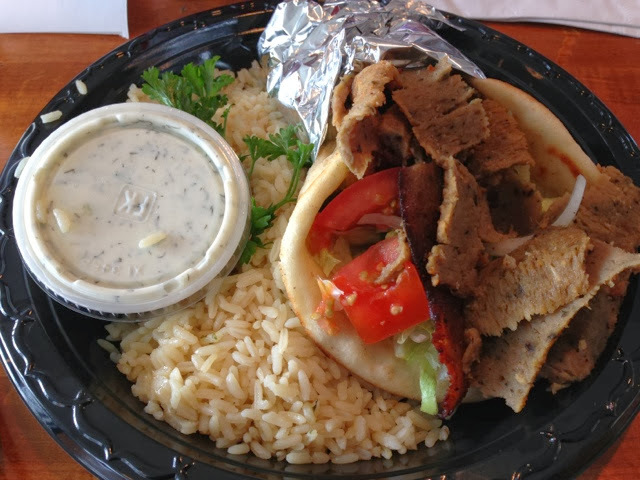 but it'd been a long time since i'd had a gyro, and it sounded pretty darn good. 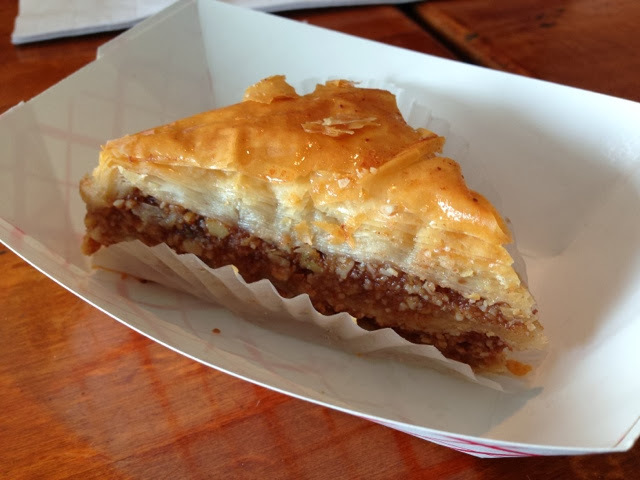 plus, when a meal starts out with baklava, you just can't go wrong. 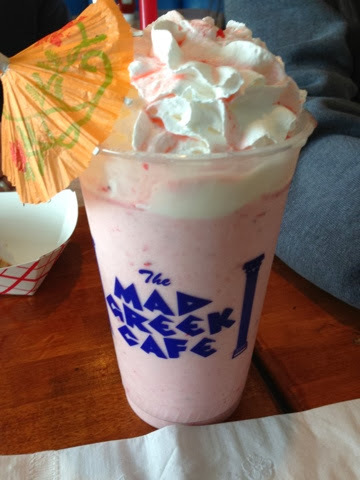 the hub's fresh strawberry shake looked good, too. i ate every bite and was one happy camper. 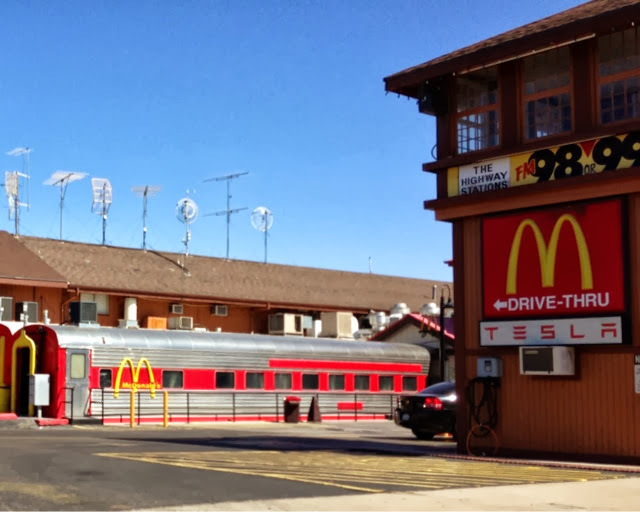 in barstow, we stopped for a starbucks and potty break. 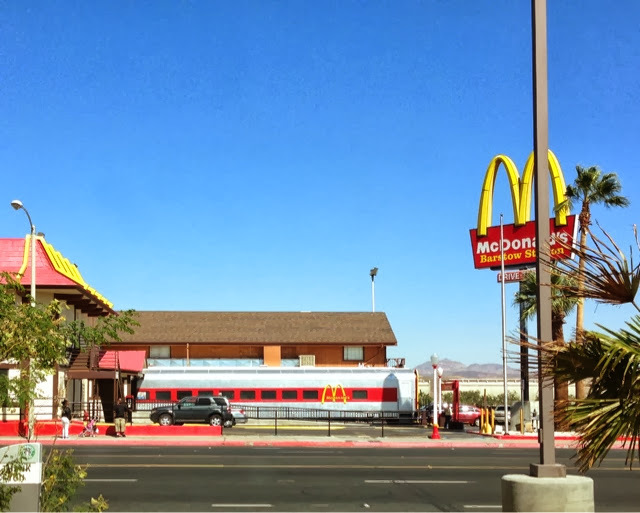 on our drive out, i'd asked the hub if he knew about the mcdonald's that had their dining room in a train car and got a blank look. so i was allllll excited when i glanced across the street and realized that it did, in fact, exist. we didn't stop or anything, but he was nice enough to drive slowly so that I could snap these. i remember coming here once when i was a kid, but the memory was really vague and i'd started to question whether or not i had imagined the whole thing. i'm pretty glad to find that i'm not completely delusional after all. I freaking HATE that drive home! We always wait too late and it takes us 8+ hours to get home. At that point, no one wants to be my friend because I turn into a raging grouchy complainy monster. I hate sitting in traffic. We just got to get up earlier I guess.